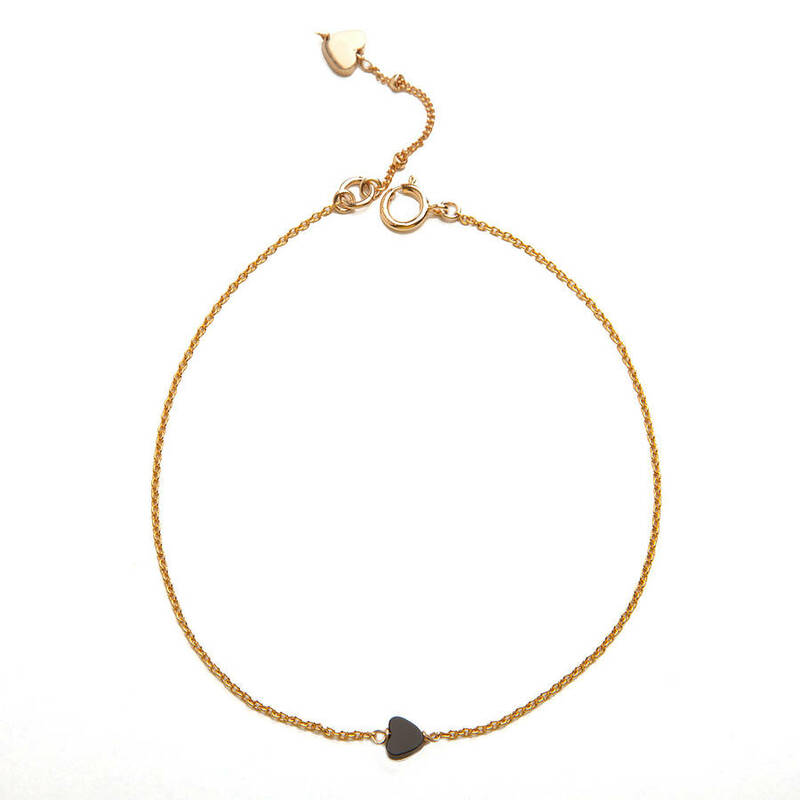 A stylish handmade bracelet with a delicate onyx heart shaped charm strung on fine trace chain. 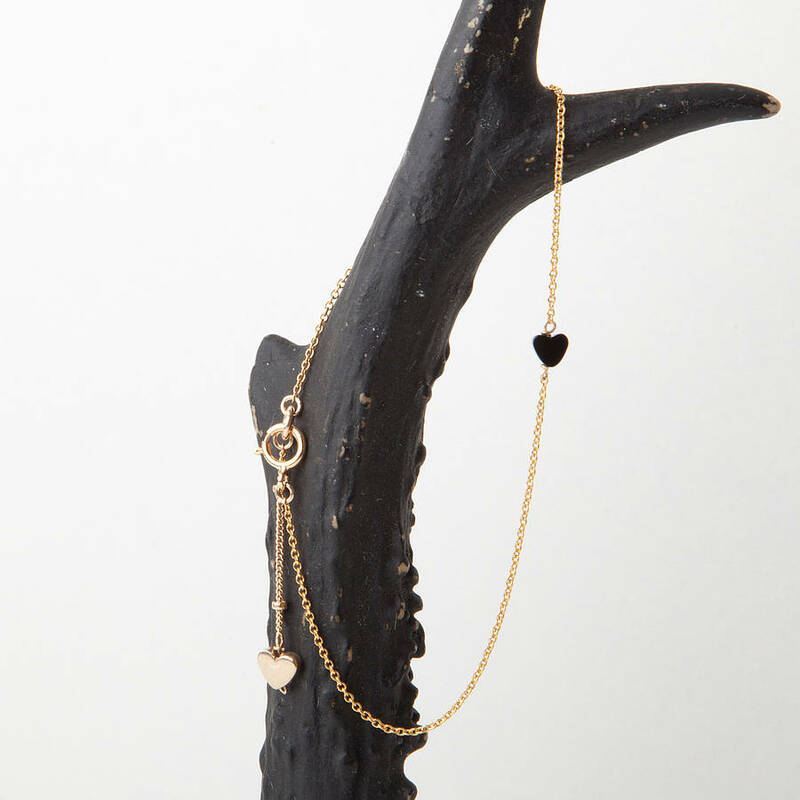 This simple yet beautiful bracelet features a single onyx heart bead and a gold heart charm that hangs subtly from the clasp. The bracelet sybolises the simplicity of a bond between two people and makes a lovely gift for someone close. 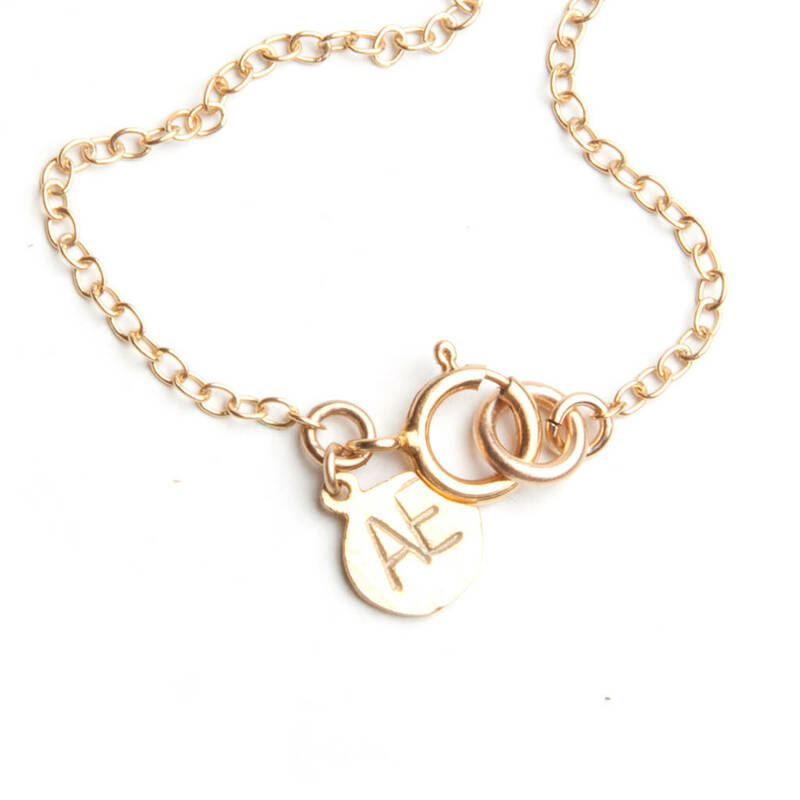 Its delicate style makes it ideal to wear everyday and it can be worn layered with one of our other charm bracelets or matched with our Long Heart Necklace for a perfect set. The hearts each measure 5mm and the chain is 19cm in length.